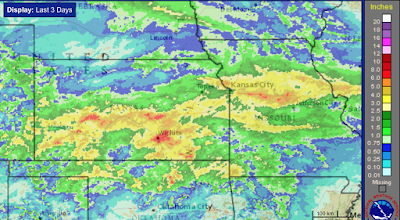 Here is a preliminary map of the rainfall the last three days. I will post a 24 hour map in a separate posting when the final map is available later this morning. 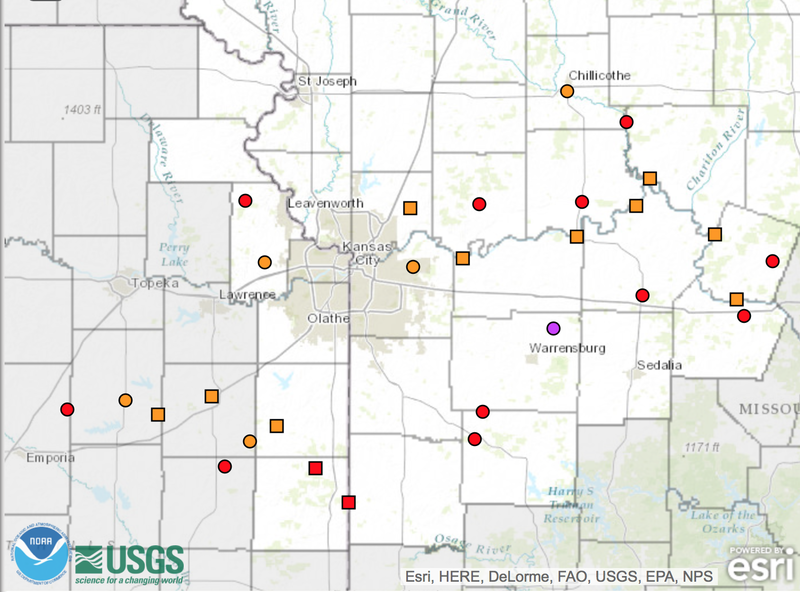 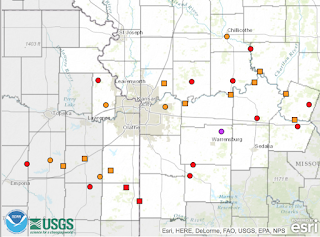 This the above rains have resulted in flooding in a number of rivers. 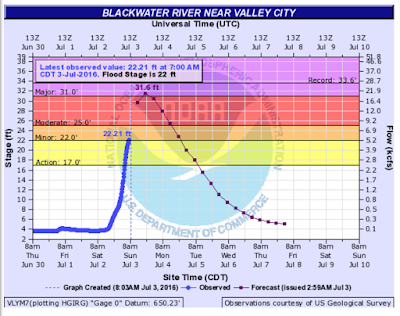 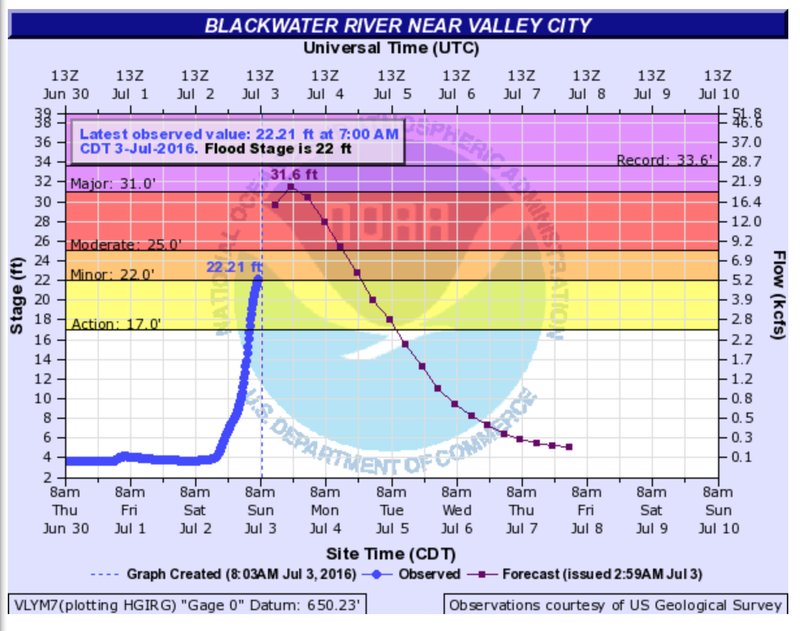 The most serious is in Missouri on the Blackwater River near Valley City with major flooding expected. 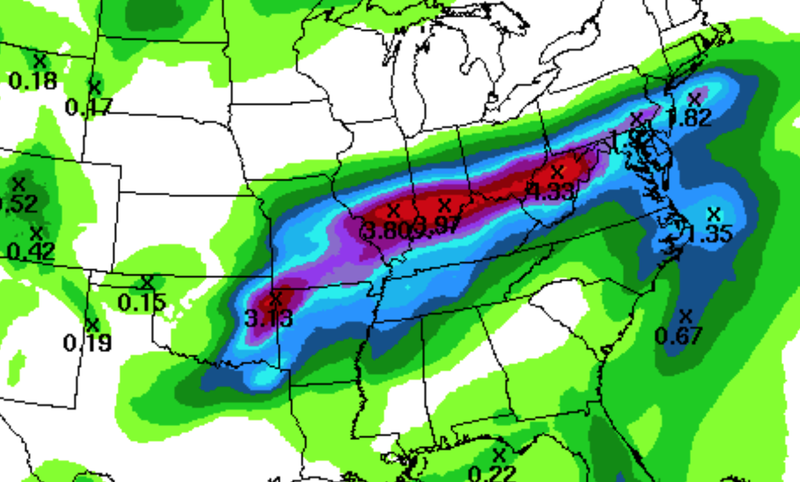 Flooding is possible in the narrow band along and north of the Ohio River as well as in the southwest Ozarks region and Green Country of Oklahoma.